(W) Mark Waid (A) Daniel Indro, Ronilson Freire (CA) Paolo Rivera. The Green Hornet faces the most dangerous enemy in the his long and storied career: his egotistical and arrogant alter-ego, Britt Reid! A journalist with great influence in his city, Reid takes on the public persona of a social crusader, but he's far too sure of himself and his judgment. 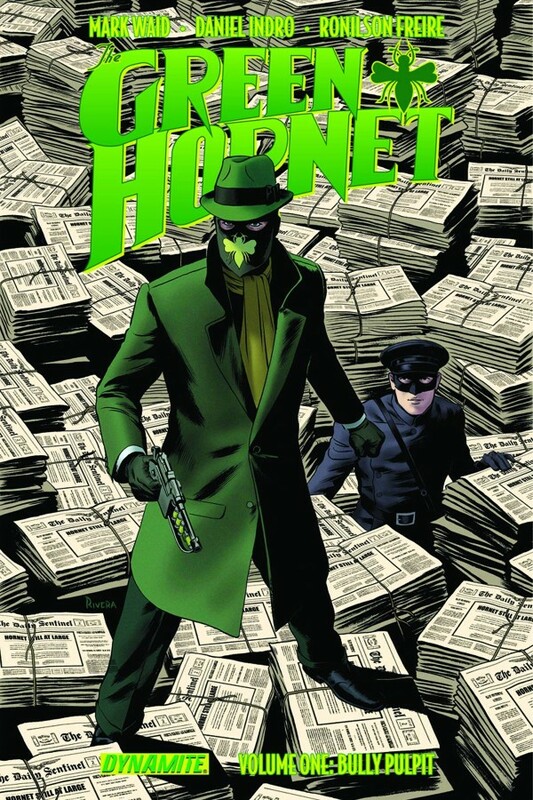 When he finally oversteps his bounds, an innocent man pays a terrible price... and the legend of the Green Hornet may be forever tarnished! From the mind of superstar writer Mark Waid (Kingdom Come) comes a new era for the classic pulp hero!